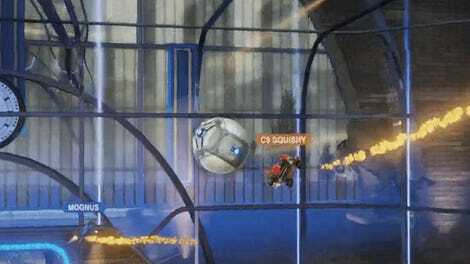 Rocket League is a game with very little randomness. It’s mostly about the physics of rocket-powered cars slamming into giant balls. 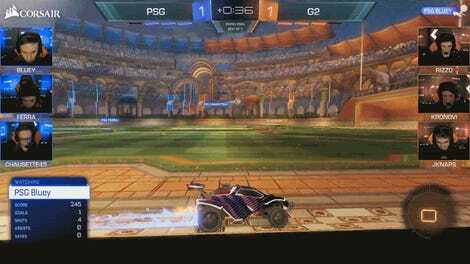 But during today’s Rocket League championship series matches, the one aspect of randomness in the game made a surprise appearance: respawning. When your car is hit hard enough by a player, it gets demolished and you have to wait a short moment before it spawns back into the arena at one of the starting positions. 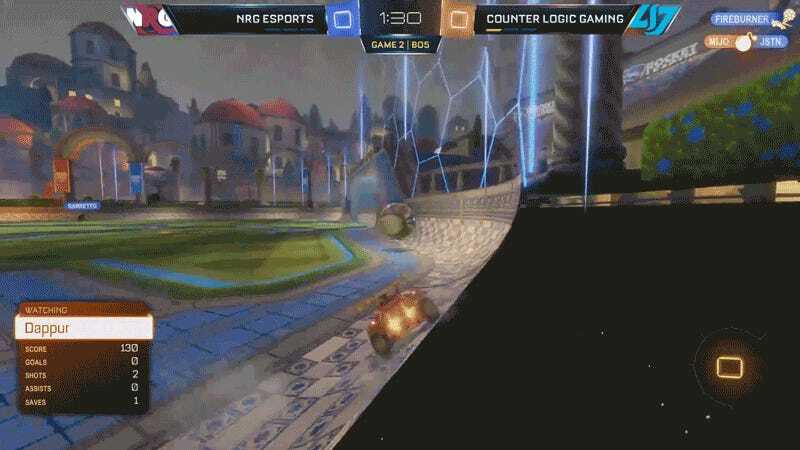 In this case, NRG’s JSTN happened to pop back in right as CLG’s Dappur was making an approach on an otherwise open goal. It’s a little silly, but hey, it’s bound to occur every once in a thousand or so tries. 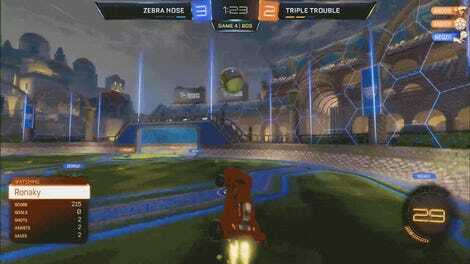 It just so happens that this one happened during a pro match in the regular season of the RLCS, and we all got to enjoy it.